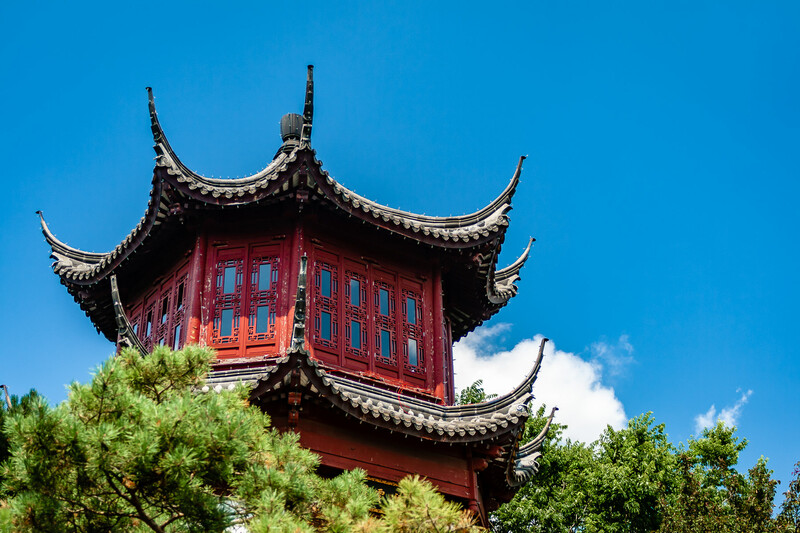 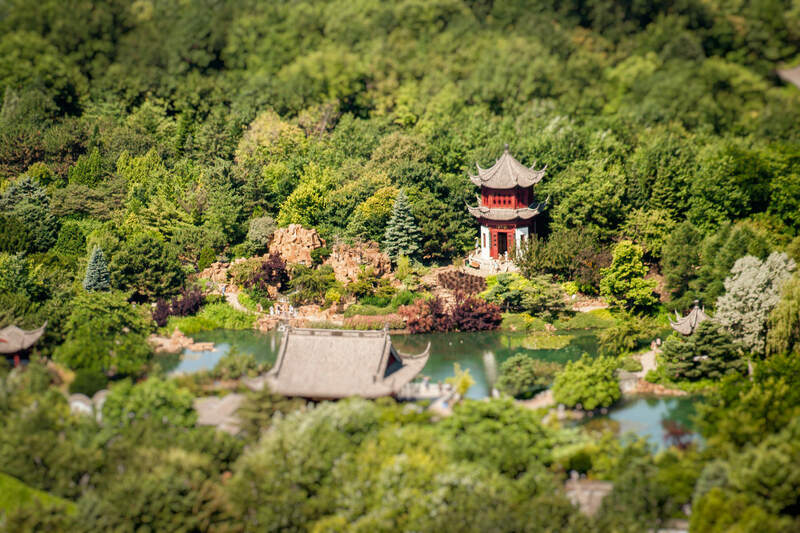 A pagoda nestled amongst the trees at the Chinese Garden in the Jardin botanique de Montréal. 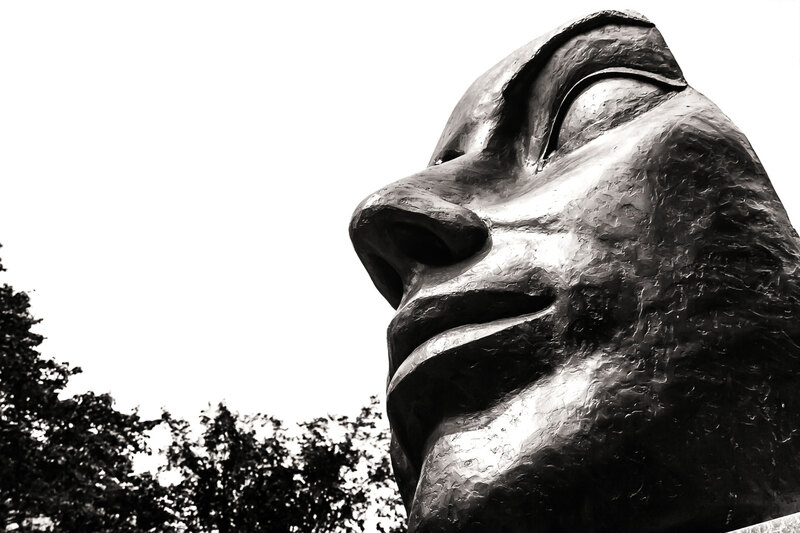 Detail of Jules Lasalle’s “Taking Flight” in the City Hall Gardens of Quebec City, Quebec. 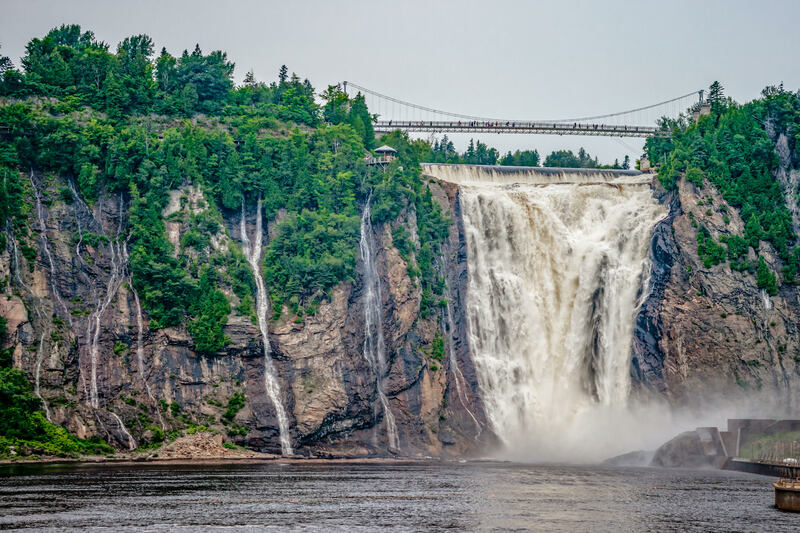 Muddy water from the Montmorency River tumbles over Montmorency Falls just outside of Québec City, Canada. 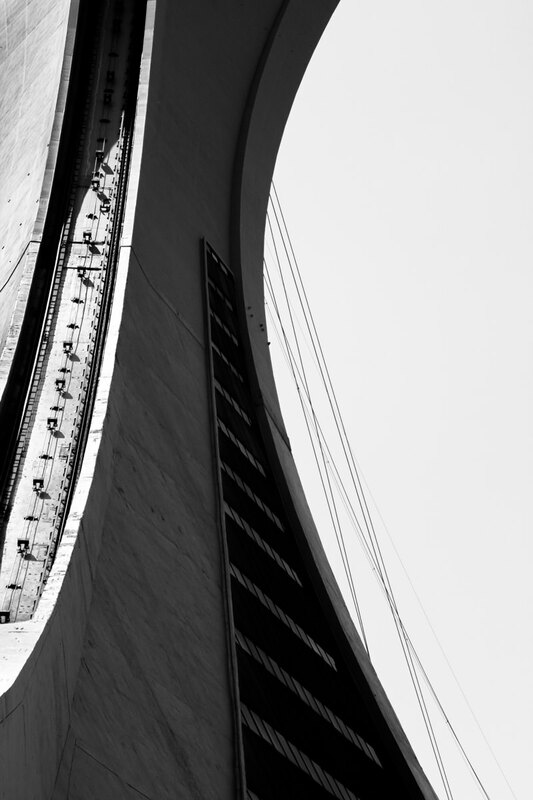 The 175-meter-tall (574 ft) tower at Montréal’s Olympic Stadium seems to peek over the structure’s roofline. 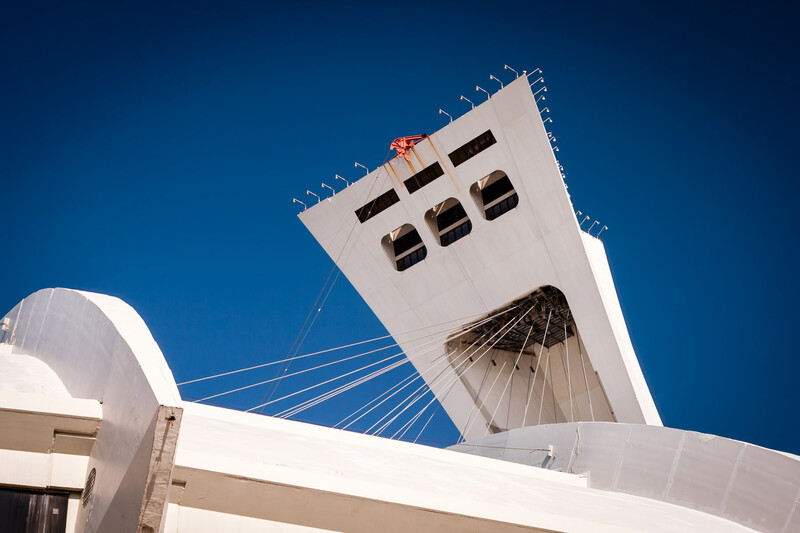 The 175-meter-tall (574 ft) tower at Montréal’s Olympic Stadium rises into the clear Québec sky. 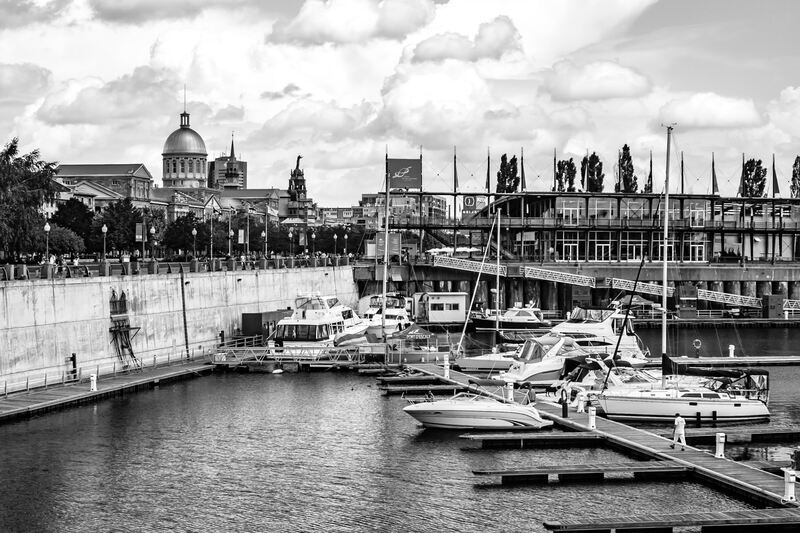 Boats docked along the quays of Vieux-Port de Montréal. 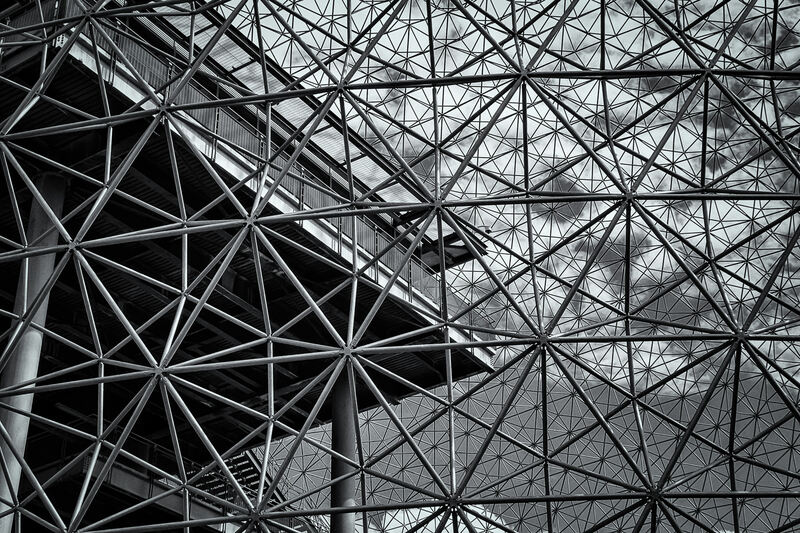 Exterior detail of Montréal’s Biosphére, the re-purposed Buckminster Fuller-designed Expo 67 United States Pavilion. 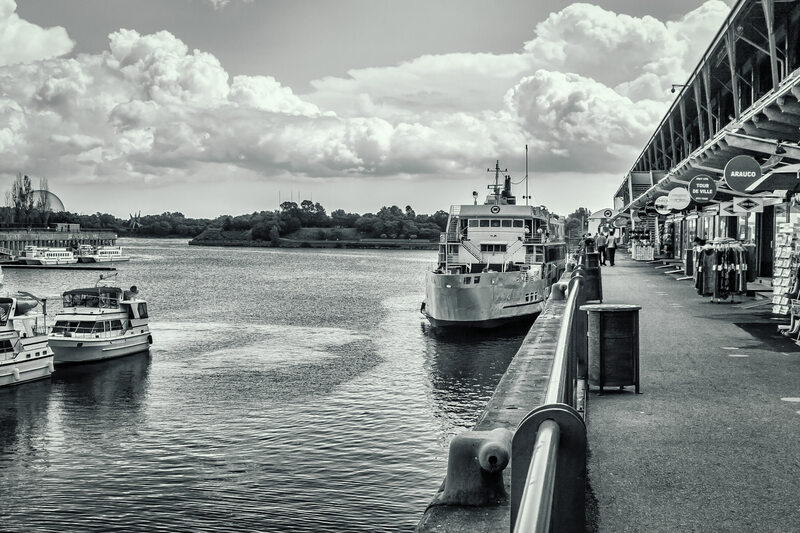 King Edward Quay juts out into the Saint Lawrence River across from Île Notre-Dame in the Vieux-Port de Montréal. 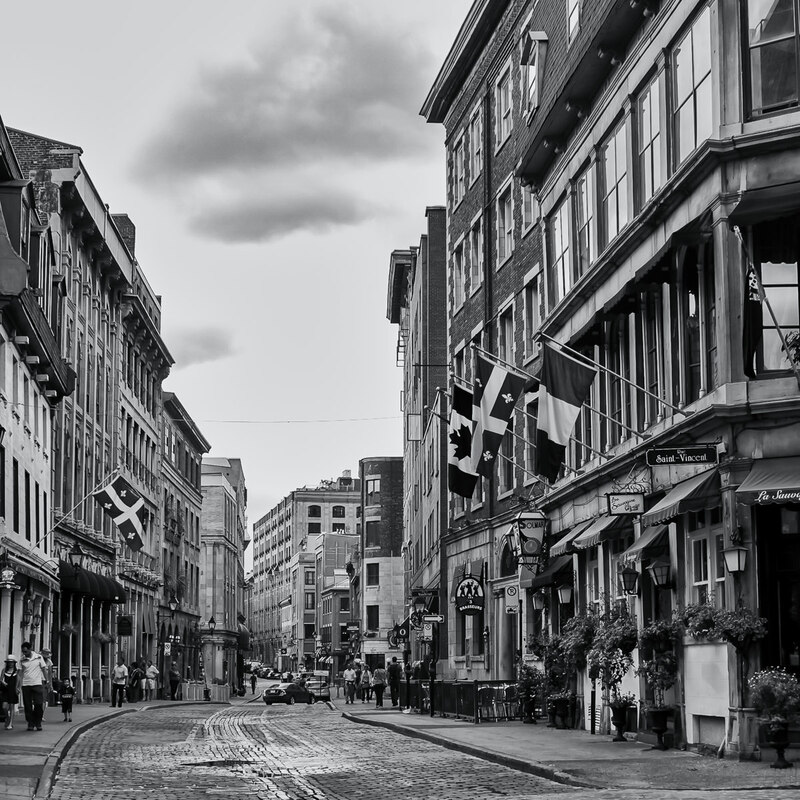 The narrow stone streets of Old Montréal, Québec, Canada.